Mintage a mere 2.1 million - minuscule for a circulating coin! A must-have in strictly Uncirculated condition - click 'add to cart' now! With its charming depiction of two brolgas, this low-mintage 20c coin from the Royal Australian Mint (RAM) is the perfect celebration of the Northern Territory. The coin was issued as part of the RAM's 2001 Centenary of Federation Series, and was released into circulation in meagre numbers. 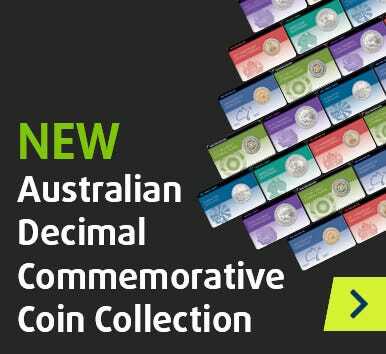 The 2001 Federation 20c series plays host to the nine lowest-mintage commemorative 20c coins ever released for circulation in Australia. They are all extremely tough to find in change in any grade, let alone in pristine Uncirculated condition, as here! From 1966 to 2016, an average of 40.48 million 20c coins were struck every year. However, just 2.1 million of the 2001 Northern Territory 20c have been struck - a minuscule figure. It's little wonder this coin is so difficult to find 'in the wild'! Do not miss your chance to secure this unique, one-year-only type in stunning Uncirculated condition today. Keep your collection complete - click 'add to cart' now!